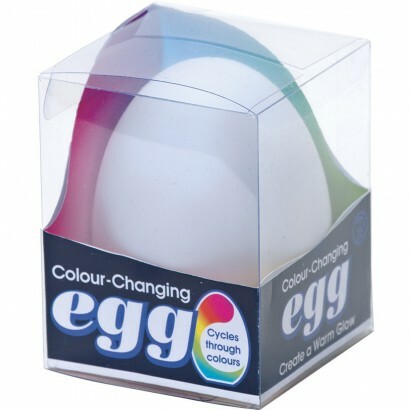 With smooth curves and stunning colour change effects, the colour change egg makes a stylish table decoration or room decoration that catches your eye and relaxes you with colour change light. 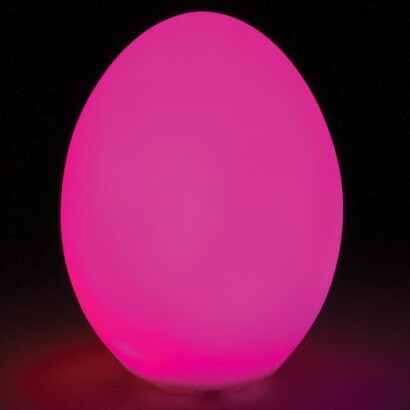 Battery operated, this stylish little lamp is lit by red, blue and green LEDs that gently phase through a colour change and can be placed anywhere to add a splash of colour. 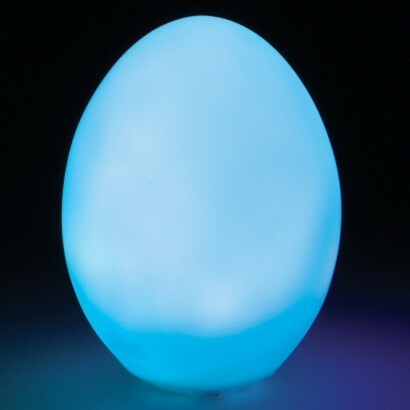 It's unique shape makes it ideal for bringing out at Easter, and this fun little egg is ideal as an alternative prize for Easter Egg hunts too!